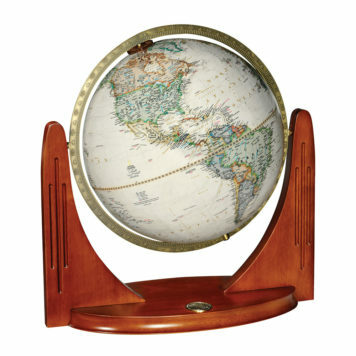 The Allanson features unique one of a kind styling. 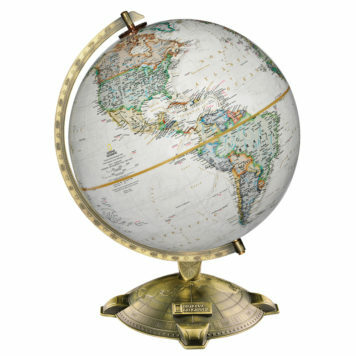 The latest National Geographic cartography, raised relief with thousands of place names and a sturdy antique plated die-cast base and semi-meridain. 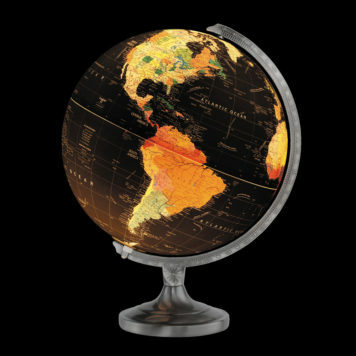 The base is highlighted by raised outlines of the continents of the nothern hemisphere and the official National Geographic logo. 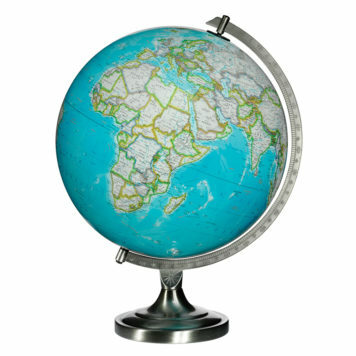 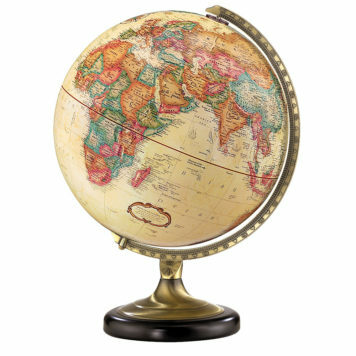 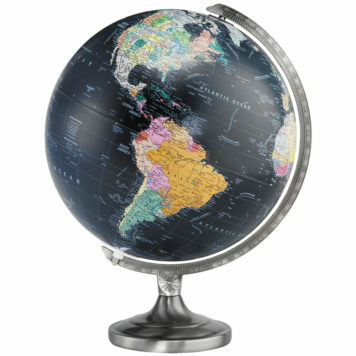 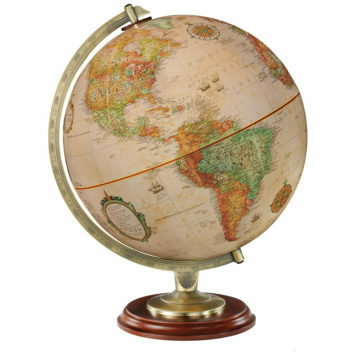 The perfect globe for National Geographic members and enthusiasts.